Attention to detail from a Realtor you can trust! Thank you for visiting my website. I am a full time, professional real estate agent in Gainesville, Florida and Alachua County. I'm fortunate to work in a town and career that I love. As a Realtor, I work with both buyers and sellers throughout the area. My hope in putting together this site was to provide information to both the experienced investor in real estate and the first time home buyer. 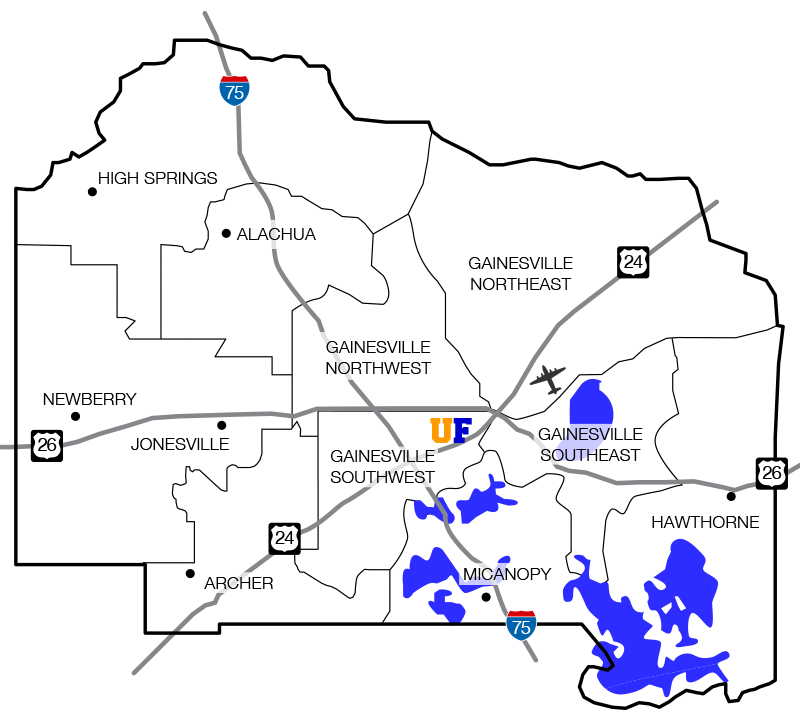 As a buyer, you can search the properties I have for sale in Gainesville, the complete multiple listing service (the MLS) of all properties for sale in Gainesville/Alachua County or find information about Gainesville neighborhoods, Alachua County schools, history of the area and other useful facts about buying a home or property in Alachua County. As a seller you will find information on the market, tips and ideas for selling your home and other useful pages to assist you in the process of getting the most for your property.